As IT continues to implement advanced capabilities, as well as traditional services such as server virtualization, storage systems become more complex. The complexity only increases because of the rapid growth of data that needs to be managed. 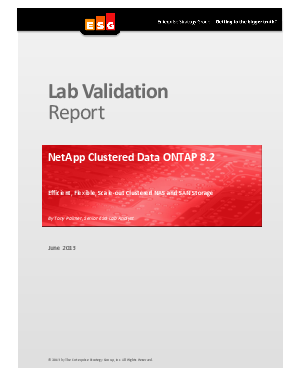 View this resource to learn the results of ESG Lab hands-on evaluation of NetApp storage systems with a focus on those enterprise-class capabilities required to manage increasingly large and complex storage environments.